Peaceful Green Day: Plants, or gruesome news? 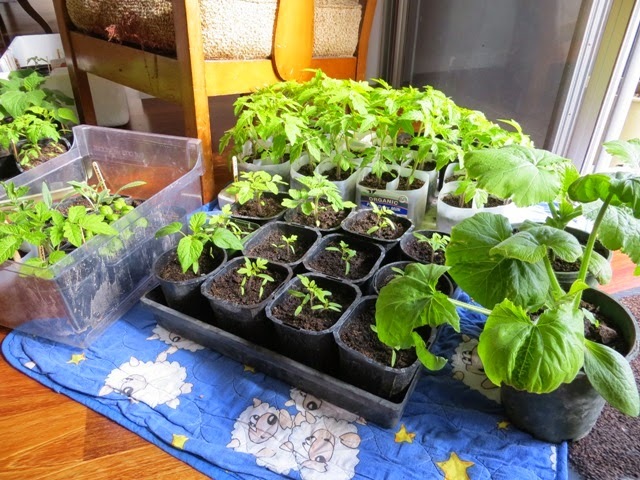 As I ate breakfast this morning, I contemplated the little forest of vegetable seedlings on our dining room floor. I sowed the seeds about five weeks ago. Each night we tenderly carry them inside out of the cold, and each morning they go out into the sunshine of our front porch. They are thriving, and the tomato plants have that unique ripe tomato smell. - we're not planting out that many plants! I could talk to my children. This morning, however, after almost an hour of lunch and breakfast making, calming arguments (calming is the wrong word - I yelled 'Cut it OUT!') and requests for things I don't have the energy for, I wanted an escape while I ate. I'm a productive and functional mother on school mornings, but not a particularly warm-hearted or patient one. 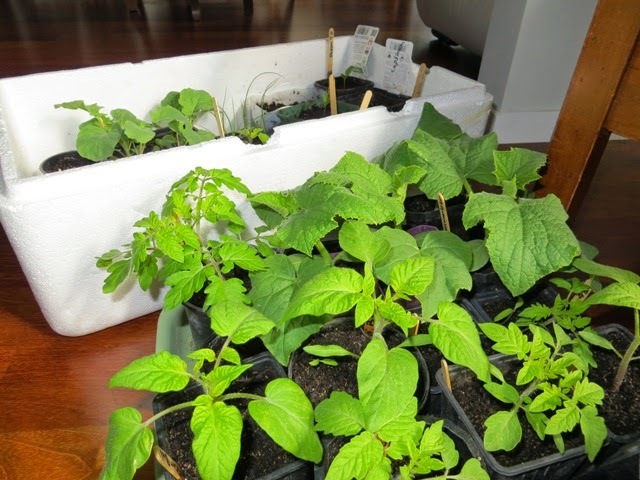 It's amazing how different strains of tomatoes have such different leaves, artichokes are already furry when still tiny, and basil leaves are so tidy and compact when young. 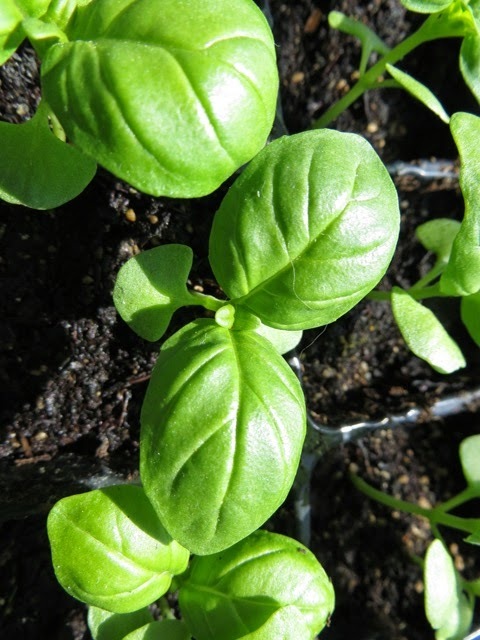 Baby basil leaves almost look like cartoon leaves! I do love reading selected blogs, and would have done so this morning except I was already up to date. 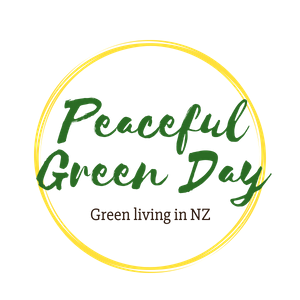 My current favourites are Soulemama for her daily dose of calm and creative inspiration, Ben Hewitt for his amazing writing and unconventional thinking, and tinyhappy for her little posts that so nicely represent her own handmade New Zealand style. Homegrown Kitchen also gives me a nice healthy foody buzz. These lovely people, and my baby plants, leave me in a much better place than beheaded journalists do.